Sign up at janice@wildsouth.org or 256-974-6166. 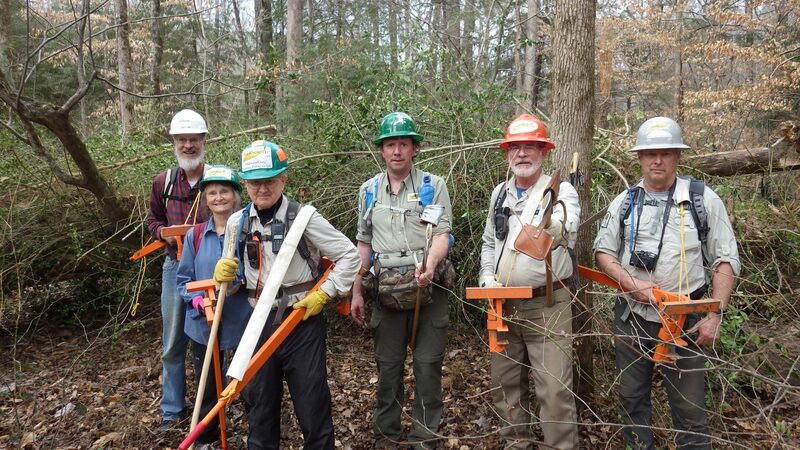 Volunteers may also meet us at the Thompson Creek trailhead at 9:30 if that is more convenient. Chinese privet control is physically demanding work. Expect to hike from Thompson Creek trailhead carrying all tools to beyond Ship Rock, a distance of about 3 miles. We will work on the point where Thompson and Hubbard Creeks come together to form Sipsey Fork. Tools and hardhats will be provided. Wear clothes that are comfortable, protective (long pants, sturdy closed-toe boots or shoes) and that you don’t mind getting very dirty. 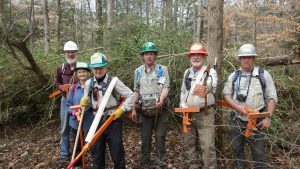 We are grateful to our individual donors and grants from The National Forest Foundation and the Walker Area Community Foundation for the support that makes our Helping Hands volunteer program possible.